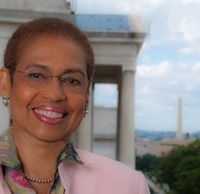 WASHINGTON (March 13, 2018) – The Urban Land Institute (ULI) has signed a Memorandum of Understanding with Architecture 2030 to help cities within the 2030 Districts Network and commercial property owners in those cities develop and implement energy efficiency and climate change mitigation strategies. The partnership also includes Measurabl, which is the most widely adopted sustainability software for real estate. ULI is a global real estate organization whose work is driven by 40,000-plus members dedicated to responsible land use and creating thriving, sustainable communities. The partnership will provide a unified platform for benchmarking and tracking the sustainability performance of properties in 18 North American cities working towards shared goals of reducing energy use, water consumption, and transportation-related greenhouse gas (GHG) emissions by 50 percent by 2030. The 2030 Districts Network is a group of private-public partnerships in designated urban areas that unite the community around a shared vision for sustainability and economic growth. Through the 50-percent reduction targets, 2030 Districts hope to significantly mitigate the effects of climate change on their urban centers. 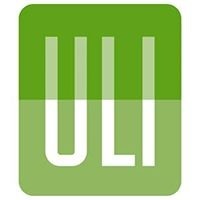 ULI’s role in the partnership will be led by the ULI Greenprint Center for Building Performance, which represents a worldwide alliance of leading real estate owners, investors, and strategic partners committed to improving the environmental performance of the global real estate industry through value enhancing strategies. Using Measurbl’s performance software, Greenprint will generate energy consumption data for the cities to help them and ULI members in those cities develop more effective energy efficiency and climate change mitigation strategies. Cities account for more than two-thirds of the world’s energy consumption and 70 percent of greenhouse gas emissions. As the sophistication of sustainability initiatives continues to advance, it is critical for urban areas to lead the charge in implementing new technology and best practices to stay at the forefront of climate change mitigation. The 18 cities participating in the 2030 Districts Network are: Albuquerque, New Mexico; Detroit, Michigan; Portland, Maine; Austin, Texas; Grand Rapids, Michigan; San Antonio, Texas; Burlington, Vermont; Ithaca, New York; San Francisco, California; Cleveland, Ohio; Los Angeles, California; Seattle, Washington; Dallas Texas; Philadelphia, Pennsylvania; Stamford, Connecticut; Denver, Colorado; Pittsburgh, Pennsylvania; and Toronto Ontario. The 1,300-plus buildings targeted for energy and emissions reductions in these cities cover more than 385 million square feet. “The ability to work with each of the 18 2030 Districts, as well as emerging districts, is an incredible opportunity to help accelerate sustainable practices in cities,” said Billy Grayson, executive director of ULI’s Center for Sustainability and Economic Performance. As more cities focus on reducing energy use and carbon emissions, it is encouraging that an increasing number of organizations representing a variety of industries are helping spur the effort, Grayson noted. “We are excited to bring ULI’s expertise and commitment to sustainability to this initiative,” he said. The Urban Land Institute Greenprint Center for Building Performance is a worldwide alliance of leading real estate owners, investors, and strategic partners committed to improving the environmental performance of the global real estate industry through value enhancing strategies. Through measurement, benchmarking, knowledge sharing, and the implementation of best practices Greenprint and its members strive to reduce greenhouse gas emissions by 50 percent by 2030. Greenprint is a research center within the ULI Center for Sustainability and Economic Performance, which also oversees ULI’s Tenant Energy Optimization Program, Urban Resilience Program, and the Building Healthy Places initiative. For more information, please visit uli.org/greenprint. The 2030 Districts Network is a US registered 501 C3 non-profit organization comprised of the Established 2030 Districts throughout the world. The Network establishes a global network of thriving high performance building districts and cities, uniting communities to catalyze transformation in the built environment and the role it plays in mitigating and adapting to climate change. Currently, the Network includes over 358 million square feet of commercial real estate whose owners have committed to working to achieve the Architecture 2030 Challenge for Planning goals to reduce resource use. Learn more at 2030districts.org/. Measurabl is the world’s fastest growing sustainability software for the built environment. Our automation tools make it easy and accurate for more than 4.75 billion square feet of commercial property across 67 countries to collect sustainability data, analyze, and report on performance, and identify energy and water efficiency opportunities. Our scalability has helped Measurabl emerge as the global clearinghouse for corporate non-financial data, empowering companies and their stakeholders to act and invest sustainably. Learn more about Measurabl at www.measurabl.com.